Reese's and Starbucks don't mess with politics and move on to the holidays. Donald Trump is our president-elect, and America is still coming to terms with the dramatic election. But it was before the final results were announced that brands saw the most engagement on social media last week. And these posts didn't take sides: Pedigree and IZOD tweeted videos that expressed messages of unity and the importance of voting. Since Tuesday, however, brands have largely shied away from political commentary (nobody wants to be in New Balance's position). Instead, brands like Reese's and Starbucks saw high engagement numbers by focusing on the holiday season. Unmetric, a social-media intelligence firm, uses an analytics platform to track brands with the highest amount of engagement for posts on Facebook, Twitter and Instagram. Unmetric's engagement score rates each post from 0 to 1,000, depending on the amount of user interactions. 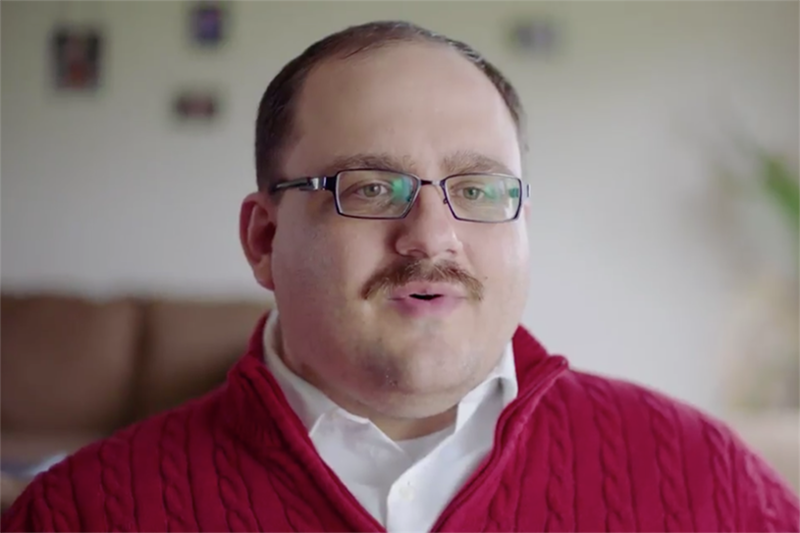 Missouri resident Ken Bone, the red-sweatered, mustachioed everyman who became an Internet sensation after his appearance in the second presidential debate, is featured in this 1:52 video for clothing retailer IZOD. Bone, still clad in his signature duds, talks about his rise to social media fame and speaks at rallies about the importance of voting. The tweet generated 10,494 likes and 4,846 retweets. In this tweet that was posted the Thursday before the election results, Pedigree tries to appeal to both sides of the political spectrum. In this three-minute video, created by BBDO New York, the brand follows a woman wearing a Clinton shirt as she ushers a lost dog around a Trump rally, then does the same in a Trump shirt at a Clinton rally. The video opens with scenes of protest and violence, but when the woman asks the crowds if they have seen the owner of the dog, they offer only support. The tweet received 2,528 likes and 1,996 retweets. No more waiting. #RedCups are here! ???? To unwrap 'em the night before, watch our Instagram story. In an Instagram post that received 417,000 likes, Starbucks teased the arrival of the chain's seasonal red cups with a photo of a wrapped drink with a slight tear. Within the post, Starbucks told its followers to watch its Instagram story to see the unveiling. Forget about the election, Reese's has moved on to the holidays. This tweet, with a cartoon elf eating Reese's candies off a conveyor belt, garnered 4,298 likes and 970 retweets. The tweet used the hashtag #VeryReesesHoliday. Fighting for our nation, no matter the time or place, looks the same when Marines are advancing under fire. Veterans Day was last Friday, and the Monday before, the Marine Corps posted an Instagram picture of two soldiers, decades apart in time, but still fighting for our country. The photo received 26,400 likes and 82 comments.